Join me in Long Beach CA for my very first Steel Mace Flow™️ Level 1 Certification. This will be a Dual Mace Certification because I will be teaming up with Mr MaceMan himself Rik Brown. We will be at the Long Beach Kettle Bell lbkclub. October 13th and 14th. Times to be released soon!!! Tickets are very inexpensive, limited and going to go quick. 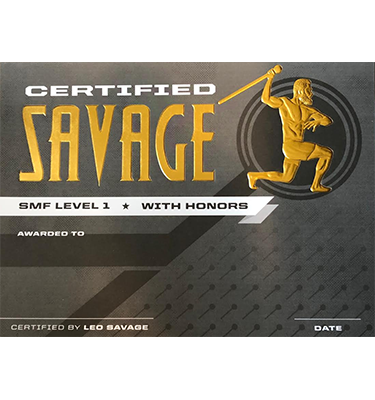 The primary intention of this Certification us to provide you with thorough education on how to effectively perform the foundational steps and basic movements of the SMF™️ system. You will be able to successfully coach others or teach yourself through this course. You will also learn Leo Savages personal Flow Builder System to dominate your Steel Mace Flow™️ practice.